Monsoon is here, giving relief from the scorching heat! However, it can bring a host of skin and hair related woes so make sure you are opting for the right rituals to have a natural glow. Also, this is the time of the year when you should opt for bold colours and right make-up and have a fashion fiesta so don’t forget to keep your fashion quotient in place too. Experts have listed ways to have the right make-up. * Less is more: Make-up in humid weather is bound to bleed so the best way to avoid it is to wear less make-up. Sporting a no-makeup look works perfectly for the spring season. * Pastels it is: Avoid using rich colours and stick to pastel and cool summer shades. Bright colours though attractive can look very heavy in humid summer weather. * Hydration is a must: Hydrating sprays is a very good option for refreshing make-up. The spray keeps your skin hydrated and supple even in the humid and scorching heat. 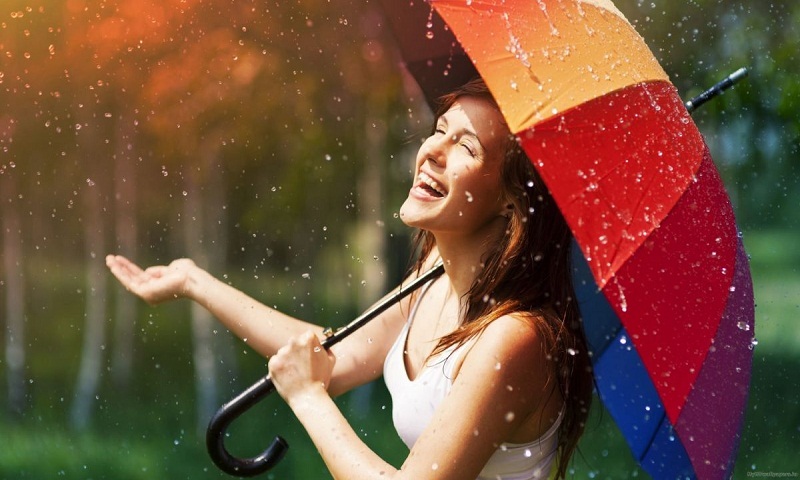 Experts have some fashion tips to share to get the perfect monsoon look. * Shades to wear: Bright neon or light shades like ocean blue, sea green, cherry, watermelon, royal blue, peachy pink and lemon yellow would work wonders to uplift a person’s mood this monsoon season. * The flip-flop style: The right combination of colourful accessories makes the monsoon attire all the more appealing. Accessories like fancy umbrellas to complete your look. Team up your monsoon outfits with vibrant flip-flops and rain boots. Beautiful bracelets, earrings, and neck pieces made of plastic, rubber, and acrylic make a trendy fad. Finally, experts have some tips for the skin. * Use a good facial cleanser: As the monsoon weather makes the sebaceous glands hyperactive, the dust gets accumulated on the skin and bacterial growth takes place. Keeping your face clean with a good facial cleanser suitable for your skin type is very important in this weather. Use of a mild, soap free, pH balanced face wash can be really helpful. If you have oily skin, wash your face 2-3 times a day. * Use face masks: Use of a face mask once a week can be really helpful keeping the skin fresh, clean and glowing. A face mask with activated charcoal can be one of the best remedies for your skin care regime during monsoon as this will help deep cleanse the toxins from your face while minimizing pores and reducing excess oil from the skin.